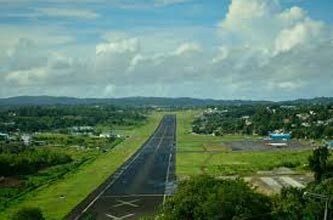 Arrival At Port Blair Airport, Our Representative Will Receive And Take To The Hotel. Check In, Make Yourself Comfortable. After Lunch Start The Breathtaking Trip To Science Centre Followed By Corbyns Cove Beach- One Of The Most Picturesque, Coconut Palm Fringed Beach, 7 Kms Away From Port Blair Town. In The Evening Move Towards To View The History Of The Heroic Freedom Struggle Which Is Brought Alive In A Moving Light & Sound Show At The Cellular Jail. Havelock Island - Morning Start From Port Blair To Havelock Island By Boat At Morning 8:00 Am Reach Havelock Island, This Island Offers Beautiful Sandy Beaches And Lush Green Forest. Have Breakfast & Proceed To Visit The World Famous Beach (Radha Nagar Beach-Beach No: 7). Stay Overnight At Havelock Island. Coral Island Jolly Buoy Or Red Skin Sees Coral Reefs, Exotic Varieties Of Beautiful Ornamental Fishes And Other Marine Life. The Glass Bottom Boat Ride Helps One To Take A Closer Look At The Vast Coral Colonies. Activities – Snorkeling, Swimming. Mount Harriet (55Km By Road/15Km By Ferry From Port Blair) The Summer Headquarters Of The Chief Commissioner During British Raj, It Is An Ideal Place For A Nice And Fascinating View Of The Sun, Sea And Sand. 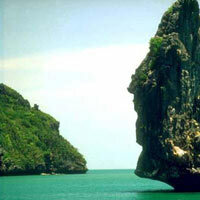 It Is 365 Meters High, The Highest Peak In The South Andaman’s.